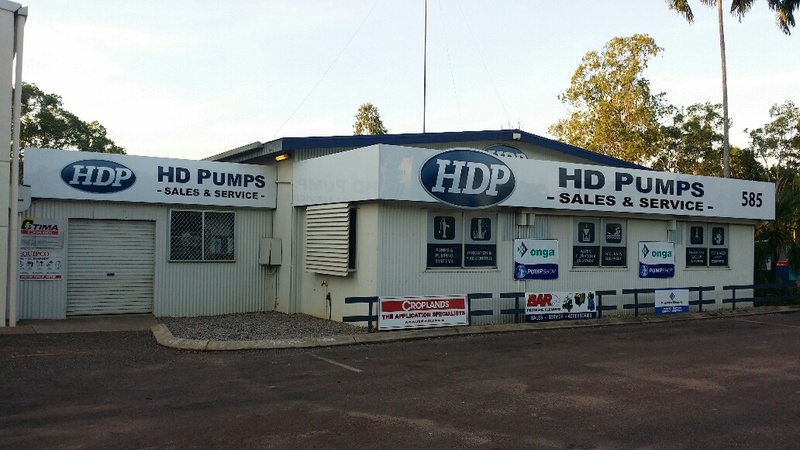 HD Pumps was established in 1979, the business commenced trading under the control and guidance of two of the current directors Glen and Christine Fenwick on their property located at 585 Arnhem Highway in the outer Darwin suburb of Humpty Doo. In 1987 Humpty Doo Hardware was established to cater for a growing community need for a well stocked and organised hardware outlet in the Humpty Doo rural area. 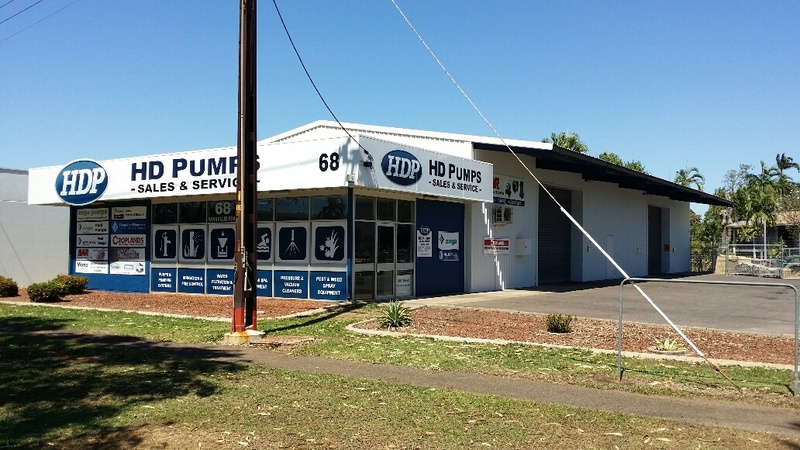 HD Pumps Winnellie started trading in 1989 to cater for a growing need for a wholesale/retail pump outlet in the Darwin metropolitan region. The company H.D. Enterprises Pty Ltd was established in 1988 to accommodate the activities of these now well established businesses. 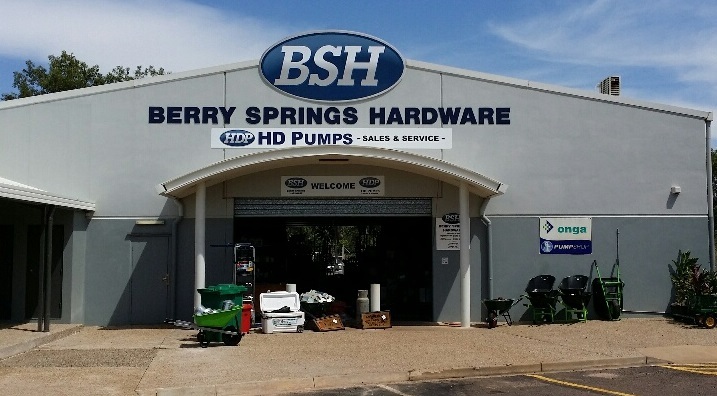 Berry Springs Hardware was acquired in 1999 to allow the company to tap into a frontier type business and allow the best attributes of the company to develop this business with proven personnel, product and marketing principals. From the outset the directors have had very clearly defined objectives and goals. The business has maintained exceptionally high standards of service and professional ethics. The company is held in high regard throughout Northern Australia and has become a major distributor for several internationally recognised and respected manufacturers. As a result of the company’s commitment to supplying only high quality products, it has gained an enviable reputation and is considered by many to be the market leader. Our commitment, and the wide support shown to the company by Government Departments and Private sector organisations throughout the Northern Territory, North East Western Australia and South Australia, have contributed to the companies continued growth and expansion. Currently the company operates five stores out of three locations, the original premises at Humpty Doo has undergone a series of substantial expansions since 1979. These premises now house HD Pumps, Humpty Doo Hardware and our head office administration facilities. From these premises we cater for the ever increasing pump and hardware requirements of the rural community and also supply installation and servicing facilities. The HD Pumps Winnellie facility was opened in 1989 and provides a full range of products and services. In 1994 this business moved to larger purpose built premises in the Darwin suburb of Winnellie in order to keep pace with growth and the ever increasing demand for locally available fully supported quality products & services. The focus of the Winnellie operation is geared to providing extensive marketing and technical support to a large wholesale and retail dealer network throughout Northern Australia including Kununurra WA, Katherine, Tennant Creek and Alice Springs. HD Pumps Adelaide was established in 2014 to provide our range of products and expert pump advice to the South Australian market. HD Pumps provides a diverse range of pumping equipment ranging from domestic water supply and irrigation through to large commercial and industrial units suitable for mining, chemical, construction and municipal type applications and installations. The company also supplies and services the high quality range of Croplands agricultural spraying equipment and pressure cleaning equipment from B.A.R and Jetwave. HD Pumps are also a supplier of quality Pentair, Onga, Sta-Rite and Astral swimming pool & spa equipment to swimming pool and spa manufacturers, pool shops and service industry personnel throughout the NT and SA, for both domestic and commercial markets.